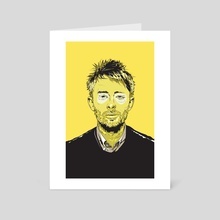 This is a portrait of Thom Yorke from Radiohead. 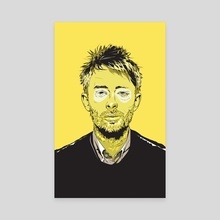 I've always wanted to do a portrait of him and I thought it would be fun to do it in a color other then the norm. 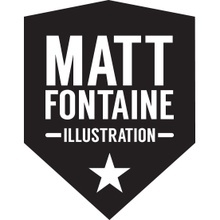 Matt Fontaine is a red blooded, ink loving illustrator and graphic designer from the amazing land that is Edmonton, Alberta!